Firefighters rescued a trapped driver from a vehicle Monday morning after it overturned and ended up on its roof at a construction site in Otay Mesa, authorities said. 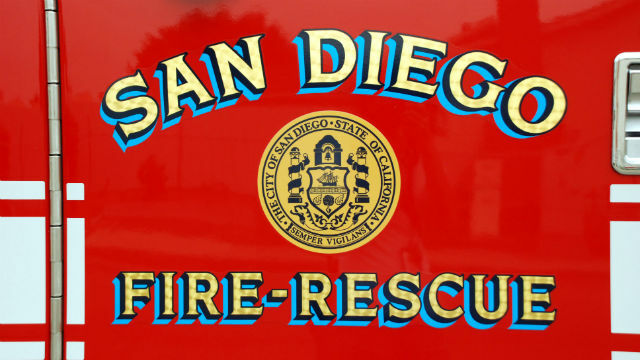 Fire crews were dispatched at about 6:10 a.m. to the crash site on Drucker Lane near Siempre Viva Road, less than a mile north of the U.S.-Mexico border, San Diego Fire-Rescue spokesman Jose Ysea said. A man who was pulled from the wreckage of the car told a witness before emergency personnel arrived that he could feel his toes but was having trouble breathing because of the seatbelt, NBC7 reported. The driver, who was the lone person in the vehicle, was transported by air ambulance to Scripps Mercy Hospital, Ysea said. The extent of the victim’s injuries was not immediately available. Several power lines were knocked down at the construction site, Ysea said. San Diego police were investigating the circumstances of the crash.